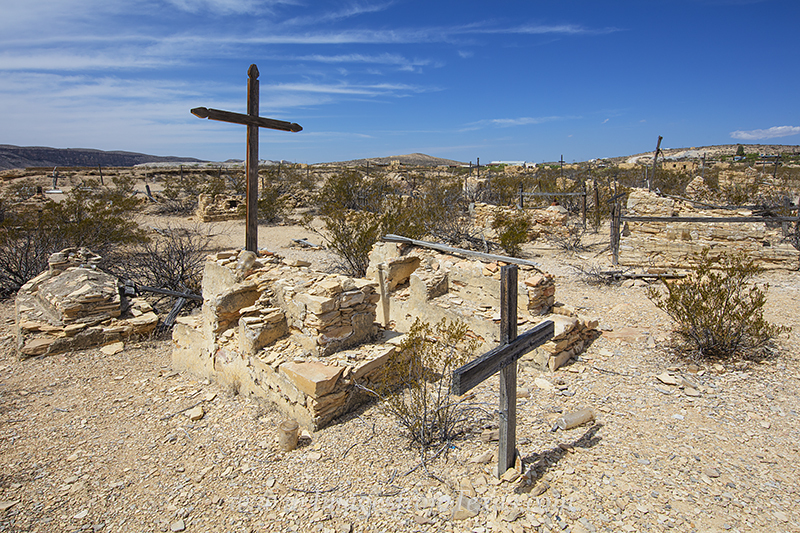 Terlingua is an old ghost town on the border of Big Bend National Park. This is the graveyard that is still in use today (I guess you could say some use it permanently). This is a privately owned graveyard, and for a person to be buried here, family members or friends have to dig the hole for them when that time arrives! Photo © copyright by Rob Greebon.